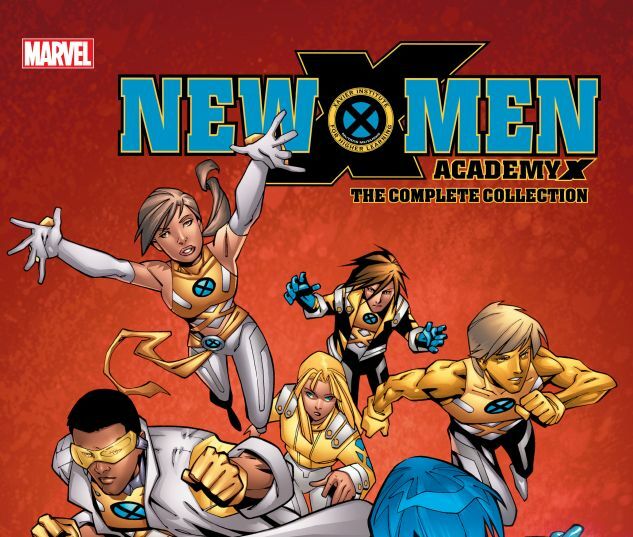 Collects New X-Men (2004) #1-15, New X-Men: Academy X Yearbook And New X-Men: Hellions #1-4. The Xavier Institute students thought they had it tough when Professor X was running things — but now Cyclops and Emma Frost are in charge! 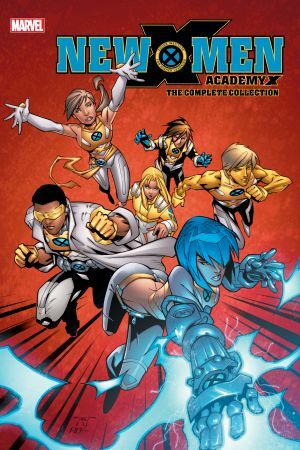 As a new semester begins, the students adopt codenames and costumes, and are separated into training squads…and Dani Moonstar’s New Mutants soon find themselves feuding with Emma Frost’s Hellions. But can the two teams work together to save Wither from himself? Then, something is haunting the halls of the Institute, and the students must get to the bottom of it! Prodigy tests his powers! A forbidden relationship is revealed! A teacher is mourned! And drama unfolds at the school dance! 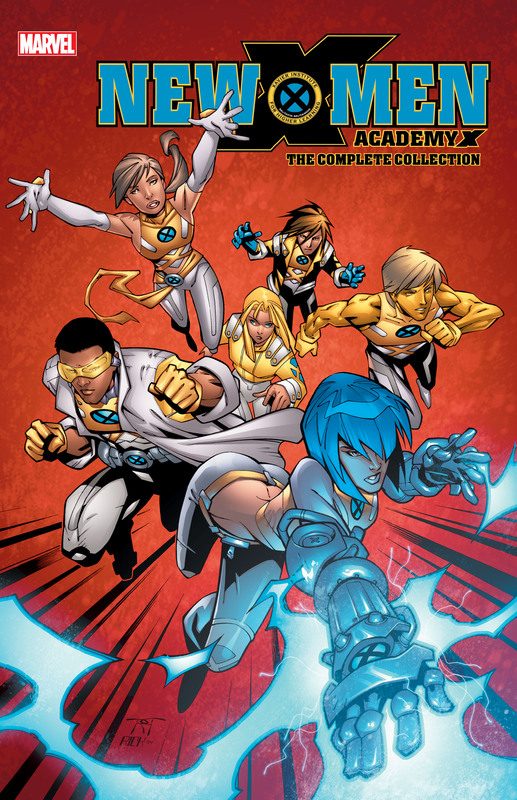 Can the New Mutants rediscover their shattered friendship? And what trouble will the Hellions get up to on summer vacation?